Charles Wilson Mills, Jr., age 60 of Lascassas, TN, passed away Saturday, February 14, 2015. A native of Los Angeles, CA, he was the son of the late Charles Wilson Mills, Sr. and Mary Jo Hein Mills. He was also preceded in death by his sister, Julia Ann Mills. Mr. Mills is survived by his wife, Becky Stevens Mills; daughter, Katherine Mills of Lascassas; sister, Marian Dawn Mills of Murfreesboro, TN; niece, Paige Mills Ferrell, and her husband Gaige of Murfreesboro, TN. A Memorial service will be held at a later date at Northminster Presbyterian Church with Rev. Marshall Gupton officiating. Mr. Mills was a 1972 graduate of Murfreesboro Central High School, a member of Northminster Presbyterian Church, and was an electrician. He was employed with Heritage Farms. Chuck loved to set up a gota station at the ARRL field day events. He would break those pileups with the off itu phonetics kilowatt 4 cookiemonster. I saw him OPERATE several times with this technique. It was that grin he had afterwards that was uplifting. 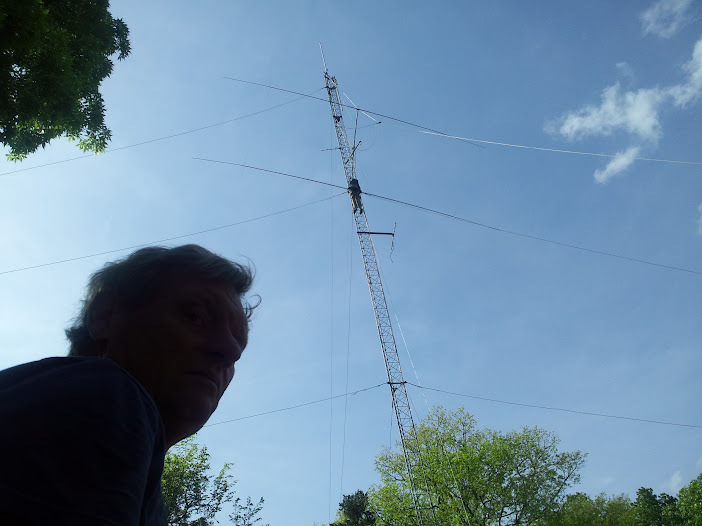 He was a Ham that was enjoyed with helping others get involved in ham radio. Very soft spoken and kind to all. I have never seen a man love his daughter anymore than Chuck did. What a great dad he must have been. I didn't have the pleasure of knowing Chuck but a few short years. Thank You Chuck for your kindness to me. I for one will remember you Sir as the kind of Elmer that anyone would love to have.